Part of the Kaman and K-MAX display at HAI Heli-Expo in Atlanta, March 5, 2019. Today the Kaman Aerospace Group, a division of the Kaman Corporation, announced at the HAI Heli-Expo in Atlanta that they are developing completely new hardware and software systems that control the unmanned K-MAX helicopter. When the company first built the system 20 years ago they used off the shelf equipment, but since then the technology has leapt far beyond what was available in the 1990s. The redesigned kit will completely replace what was used when K-MAXs delivered thousands of loads of supplies and equipment to soldiers in Afghanistan between 2011 and 2014, carrying more than 1.5 million pounds of cargo, sometimes through areas that would be considered unacceptably risky for human pilots. Typically operating at night, these unmanned missions replaced the equivalent of 900 convoy vehicles and eliminated 46,000 hours of exposure time to IED’s, direct fire, and other threats to our troops on dangerous roads. 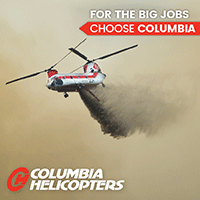 In 2015 a remotely-piloted K-MAX demonstrated for wildland fire officials how an optionally piloted helicopter could drop water on a simulated fire and haul cargo in an external load. A remotely-piloted K-MAX helicopter refills a water bucket during a demonstration October 14, 2015 east of Boise, ID. K-MAX photo. The system being developed will have the capability to fly either manned or unmanned missions. Kaman expects to offer the redesigned kits for old and new K-MAXs in 2020. In 2016 Kaman restarted production of the K-MAX after a 13-year hiatus. “Whether the need is night-time aerial firefighting, resupplying troops in austere environments or delivering critical supplies in support of humanitarian missions, the next generation of the unmanned K-MAX will continue to demonstrate its unmatched readiness and efficiency no matter the requirement,” stated Roger Wassmuth, Senior Director Business Development, Air Vehicles & MRO Division. Each drone would carry up to 160 U.S. gallons (600 L.) of water or fire retardant. Drone Hopper envisions one drone or a fleet of them working together to suppress wildfires. Screengrab from Drone Hopper video below. Drone Hopper, a Spanish startup, is developing drones that could be used for dropping water or fire retardant on wildfires. Their Wild Hopper model would carry up to 160 gallons (600 L.) which is almost double the capacity of a Bell 206 helicopter. The company has designed several models. One of the earliest is seen in the photo at the top of this article. I can imagine that if someone saw one, or 15 to 20 of those saucer-shaped devices flying through the sky in formation, they might be thinking — UFO. The video below, uploaded September 16, 2016, apparently shows the small early model. This next video, uploaded November 17, 2018, features the later Wild Hopper model with a tall visible water tank presumably holding 160 gallons, according to information on the company’s website. The rotorcraft’s electric motors are driven by batteries which also power a device to electronically convert the water to a mist through what the company calls a nebulization process. The downward thrust of the rotors drives the mist at high speed toward the ground. While a water mist could more evenly wet the vegetation, any significant wind or strong convection off the fire might blow the water off target. The aircraft has a thermal camera which could make nighttime water drops more accurate. Photo taken by a drone in Paradise near Kilcrease Circle. A large group of mapping and drone experts have photographed from the air the Paradise, California area that was devastated by the Camp Fire that roared through the communities November 8. The photos and videos shot by drones were all georeferenced and put into a map format, making it possible for residents to check the status of their homes. Drones flew above all of the major roads shooting videos, and 360-degree photos were taken from the air in 200 locations which can be panned and zoomed. The resolution is very good since they were taken with 20 megapixel cameras. Photo taken by a drone in Magalia near Indian Drive. The maps can be viewed at the Butte County website. The site is a little glitchy and I found that it did not work well with the Chrome browser; the street names, videos, and 360-degree photos were not available. It worked fairly well with the Firefox browser, but a window on the left side could not be eliminated which obscured about half the map. I did not try it with Internet Explorer. In spite of these issues, what the group accomplished in about two days is an incredible achievement, and may be the first time the process has been used on this scale to provide such detailed information to a population suffering from a natural disaster. To see all of the articles on Wildfire Today about the Camp Fire, including the most recent, click HERE. The 16 teams of drone operators conducted 500 flights in two days to collect 70,000 photos over 17,000 acres. In addition to this resource, officials are mapping one by one the structures affected by the fire. That map is also available to residents who want to check on the status of their homes. The video below explains the technical details of how the imagery was collected and displayed. Bell Helicopters’ design for an Autonomous Pod Transport. Bell photo. Bell Helicopters intends to market a drone that can carry 1,000 pounds of cargo. Their plan is to make multiple models with various capacities, from 50 up to 1,000 pounds. The company does not call it a drone, of course. It will be an electric vertical take-off and landing (eVTOL) vehicle — specifically, an Autonomous Pod Transport (APT). Bell is working with Yamato Holding Co., Ltd. who will design the removable pod for the cargo. Bell’s APT will utilize a tail-sitting eVTOL configuration and a payload pod. It should reach speeds of more than 100 mph and can be small enough to handle loads up to 15 pounds, or large enough to transport 1,000 pounds. The companies say this is one way to deal with the truck driver shortage, since the “flying trucks” will increase efficiency because they won’t require conventional drivers (who are subject to hours of service regulations), they can move faster than traditional trucks, and they won’t have to deal with traffic. They expect to produce the first prototype in August of 2019. The Bureau of Land Management is moving quickly in their adoption of drones for surveillance and mapping, but so far the small machines have not been capable of transporting firefighting supplies or equipment. Picture this. It is midnight. A couple of Hot Shot crews on extended attack in a remote area would like to conduct a firing operation on a slope leading down to a creek. A hose lay would increase their chances of success, and there’s water in the creek. Helicopters can’t haul cargo at night, so they request a call when needed Bell APT sitting at the helibase with 100-pound cargo capacity to bring in a small pump and two Gasner hose packs with nozzles, gated wyes, and a total of 400 feet of hose. That is enough to get the crews started installing the pump and the hose lay. The APT makes additional sorties as needed, bringing three Gasner packs and pump fuel on the second load. It might even bring in some food and drinking water if the crews have not eaten in the last 12 hours. Or fuel for chain saws and drip torches. Thanks and a tip of the hat go out to Bob. 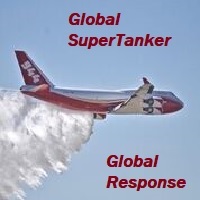 In 2009 we first started hearing about concepts for unmanned air tankers when John A. Hoffman applied for a patent for UAVs that would be transported by a mother ship and released near the fire. They would fly to the fire and drop retardant, and then intentionally crash, or in another variant, fly to an airport and land. In 2013 Nitrofirex developed the idea further by producing a video. Their UAVs would also be transported in a large mother ship and released through the rear cargo door. The folded wings would deploy and the aircraft would glide autonomously to the target then “automatically and with great precision” release the water or retardant. The small engine which had been idling would power the ship back to the tanker base where it would be reloaded and inserted back into a mother ship. But we have not heard of anything real being built or flown. Next up: Faradair. 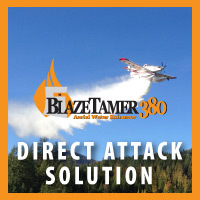 They have advanced the concept of an unmanned air tanker by producing a photoshopped image of a tri-wing UAV dropping water on a vegetation fire (at the top of this article). The website says it would carry up to 2,200 gallons and would have a hybrid propulsion system, electric and an internal combustion engine. This would be a variant of a model they are considering that is intended to carry six to 10 passengers in a quiet aircraft with short takeoff and landing capability. Faradair’s main goal apparently is to produce an inexpensive small passenger aircraft for commuters or quick flights that could takeoff and land from short runways and be quiet enough to operate in areas with noise restrictions — hence, the electric motor option. It would takeoff with the electric motor then switch to the internal combustion engine. 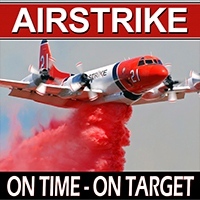 The air tanker variant is derived from the goal of the basic design to be multi-role. “To date, former WWII era bombers and converted civilian jets have been used to deliver large scale firefighting capability, but that scale increases costs and pilot risk. The 11 meter wingspan BEHA M1-AT with a 10 tonne payload capability offers the operator an opportunity to acquire a fleet of aircraft, for a fraction of the acquisition and operational costs of helicopters, flying in rotation to combat the smaller fires and to prevent them becoming larger fires. “The aircraft’s unique ‘triple box-wing’ configuration allows extremely short take-off and landing capability whilst also allowing the aircraft to lift large payloads with hybrid flight capability if required. BEHA can operate from any surface, in confined spaces with protection of the propeller in the rear duct, lessening the risk of Foreign Object Damage (FOD) during payload delivery runs. 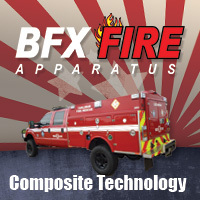 The all carbon composite airframe is lightweight and extremely strong, allowing for larger payloads to be carried, making it perfect for anti-fire operations. On August 7, 2018 while attempting a landing at the end of a mission on the Graves Fire in Oregon, an Insitu ScanEagle X200 unmanned aircraft came in too low resulting in a low capture on the suspended rope. The payload and the left wing sustained visible damage. According to the preliminary report, the flight crew believes the failure of the aircraft to correct the errant glide path was caused by turbulence generated by terrain at the recovery site. After the incident the ground control software was upgraded to improve the glide path tracking. In addition, the site lead reemphasized the decision making process for initiating a timely go-around. Photo by Insitu on Instagram of the recovery system as used on the Eagle Creek Fire in the Columbia River Gorge in September, 2017.
the aircraft’s swept wings are both fitted with titanium carabiners at their tips that grip the rope tightly, suspending the Scaneagle in mid-air until the ground crew lowers it. An onboard accelerometer senses the violent yaw when the wing is caught by the rope (the aircraft cartwheels sideways when it hits) and cuts the engine. The process was described as “very dynamic” by Insitu personnel, an assessment El Reg agreed with. Above: Screenshot from the Department of the Interior video below. In 2010 I wrote an article on Wildfire Today about the two military surplus Cobra helicopters the U.S. Forest Service operates. The ships are still with the agency and are used on fires when the electronic systems are working. These “Firewatch Cobras” have infrared sensors that can detect heat from fires. There is video in the article in which the pilot directs firefighters on the ground to a hot spot near the line on the Jesusita fire near Santa Barbara on May 12, 2009. The heat source is so small that the firefighters walked past it and over it several times, but the pilot could easily see it using the infrared equipment. Insitu was one of four companies that won CWN contracts in May. On the Taylor Fire in southwest Oregon on August 5, firefighters requested that the company’s ScanEagle aircraft monitor an overnight burn operation they were conducting along a ridge top road. As it orbited in the darkness at 8,500 feet, the sensors and the pilot detected a spot fire about 100 feet outside the fireline in the “green” unburned area. The pilot talked directly with firefighters in an engine, telling them where it was. Engine 66 stop there, spot fire is out your passenger door, 100 feet. As you can see in the video below, the firefighters, it looked like at least three of them, searched the area and found the spot fire, which they said was about one foot square. Depending on your taste in music, you will either want to turn up the sound in the video, or turn it off. I doubt if there’s any middle ground. There is no narration, so you won’t miss anything with the sound off. The ScanEagle was launched from and recovered within the Temporary Flight Restriction over the fire. It was flown beyond visual line of sight in accordance with the 2015 FAA/Department of the Interior Memorandum of Understanding. This is not the first time a drone has detected a spot fire during conditions when most aircraft are unable to fly. In 2017 on the Umpqua North Fire Complex in Southern Oregon a drone found a spot fire when smoke reduced the visibility to only 100 feet, keeping all other aircraft on the ground. 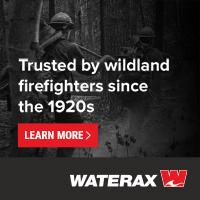 We have often written about the Holy Grail of Wildland Firefighter Safety — knowing in real time the location of the fire and the location of personnel. Many assumed the location of the fire would be the most difficult obstacle to overcome. 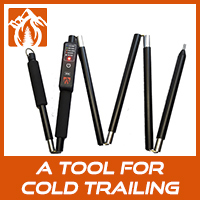 But apparently the technology, suitable and practical enough to be used on a wildfire, is on a CWN contract. BOOM! 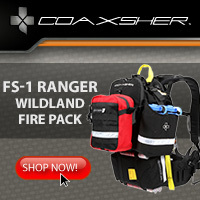 The location of firefighters can also be solved. The technology exists now. 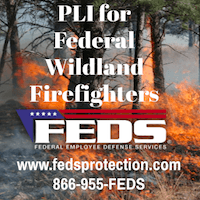 Many agencies are using various systems, especially metropolitan law enforcement and fire organizations, but the federal land management agencies and most of the larger state fire organizations are dragging their feet. 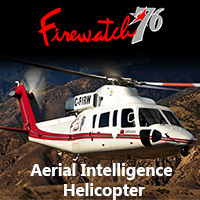 Earlier this year CAL FIRE took a step in the right direction when they issued a contract to provide technology in 1,200 state-owned vehicles that will facilitate mission critical data communications over a variety of networks (broadband, narrowband and satellite). This will include tracking the location of firefighting vehicles, but probably not dismounted personnel. Complex terrain is one of the difficulties in continuously tracking the location of resources on a wildland fire, but there are ways to get around this, including putting radio repeaters in drones, perhaps the same one that is tracking the fire. One of these days, drones will be on automatic dispatch along with engines, crews, and other aircraft. I know — a lot of deconflicting of aircraft has to be worked out, but it WILL happen.